That’s where Power sits after claiming the Verizon P1 Award in qualifying Saturday for the ABC Supply 500 at Pocono Raceway. Power’s two-lap average of 219.511 mph around the 2.5-mile “Tricky Triangle” gave the 2018 Indianapolis 500 champion pole No. 53 of his 14-year career, moving him into a tie for second on the all-time list with “Super Tex” _ first four-time winner of the Indianapolis 500. Only Mario Andretti, with 67 career poles, has more. The 2014 Verizon IndyCar Series champion, Power earned his third pole and ninth front row start of the season and picked up a bonus point for being fastest of the 22 qualifiers for Sunday’s 200-lap race (1:30 p.m. EDT, NBC Sports Network and Advance Auto Parts INDYCAR Radio Network) on Pocono’s unique triangular oval. 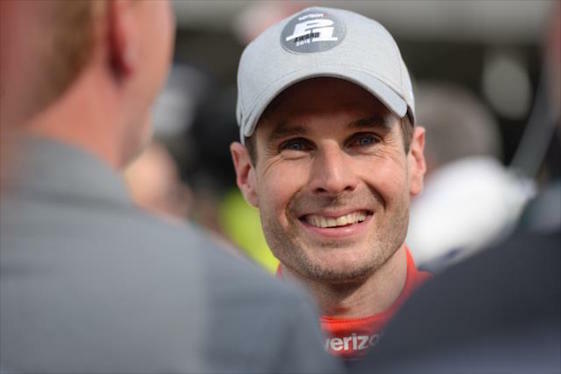 Power is the two-time defending winner at Pocono and is seeking to become the first driver in 40 years to win three consecutive Indy car 500-mile races. That has not occurred since Al Unser claimed the 1978 “Triple Crown” with superspeedway victories at Indianapolis Motor Speedway, Pocono and the now-defunct Ontario Speedway in Southern California. Josef Newgarden, Power’s teammate, qualified second in the No. 1 Chevrolet at 218.802 mph to lock-up the front row for Team Penske. Andretti Autosport teammates Alexander Rossi (218.758 mph) and Ryan Hunter-Reay (217.806 mph) qualified third and fourth, respectively. It placed the four nearest competitors to championship leader Scott Dixon in the first two rows of the starting grid. Dixon qualified 13th in the No. 9 Chip Ganassi Racing Honda at 216.410 mph. The four-time series champion leads Rossi by 46 points, Newgarden by 60, Power by 86 and Hunter-Reay by 95 heading into Sunday’s race. A final 60-minute practice scheduled for Saturday afternoon was canceled by rain that began soon after qualifications were completed. Sunday’s race will be the 25th Indy car event at Pocono Raceway dating to 1971. To that point, track officials confirmed on Saturday that Pocono will be part of the 2019 Verizon IndyCar Series schedule. The race date will be announced when the complete series schedule is revealed, expected sometime in September.